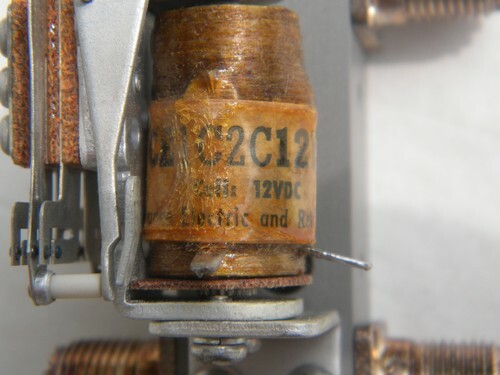 Vintage new-old-stock radio frequency 12 volt D.C. relay with large N type connectors. 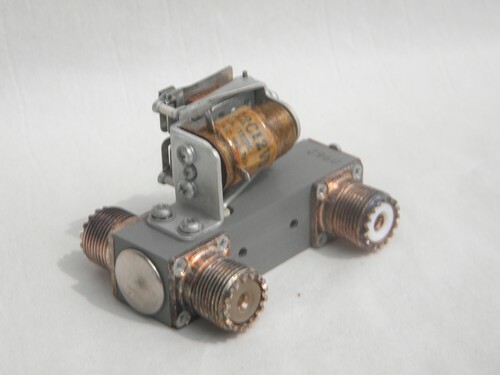 It measures 3" long and is "CE1C2C12VD" and "Coil 12 VDC". We can&apos;t make out the entire manufacturer&apos;s name, just "~ Electric and Relay Co". 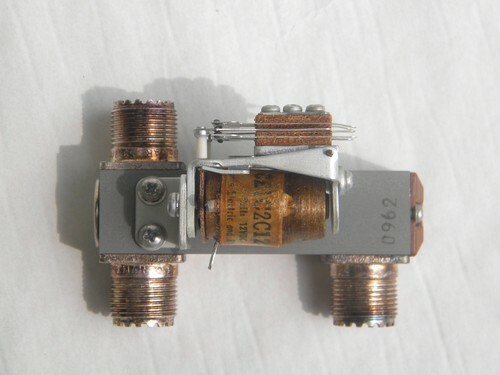 This is from the estate of an electrical engineer and shortwave radio enthusiast. It was still sealed in the original plastic bag, until we opened it for photographing.